First of all to all who says the plan didn’t work, well it just did. 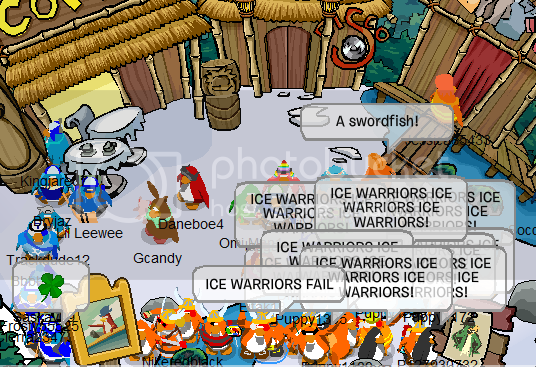 We have successfully defended mammoth and we made our mark on cp armies. We maxed 23 at this battle, something we haven’t done since march, so I am proud, I would like to also take this time to award an extra 2 medals to Uga for siding with WW in this war, it was a tough choice for him but he did side with us. Notice the bots chanting IW on the right? 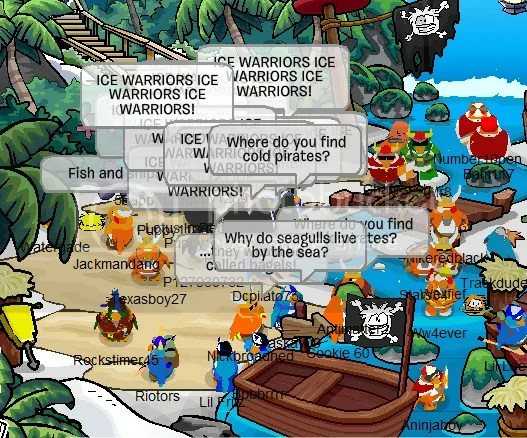 I was there but on my other penguin since I was fighting for ACP and WW. 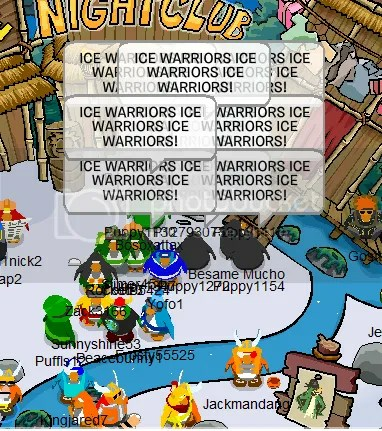 I was fighting for ACP on my computer logged on as Danny9632 and fighting for WW on my laptop on as my brother’s penguin Jackmandang. Very sorry for not coming to Defense of Frozen. I was at the beach but my parents wouldn’t let me stay home. I have pics, could I email them to someone as I don’t have a tinypic or anything like that. @Nicko: For Tinypic you don’t need to have an account to upload pics. Also, could I be added to the site please? Thanks. Although I’m not all to pleased with siding with ACP, this seemed like a really epic event, and I’m sad I wasn’t there to be a part of it. Aw man! I always miss a good battle. I’m really proud of WW, I hope it only gets better. 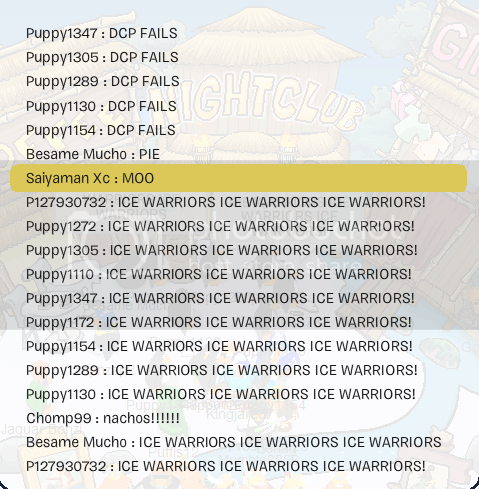 @Waddles0: Yes, comment on the Medals page stating your penguin name and which event(s) you’ve been to. @Vic: It’s side with ACP and not get pwned, or side with the ”Mammoth Confederation” and get pwned. Learning from our mistakes (siding with the Anti-ACP group last time) has helped us now. 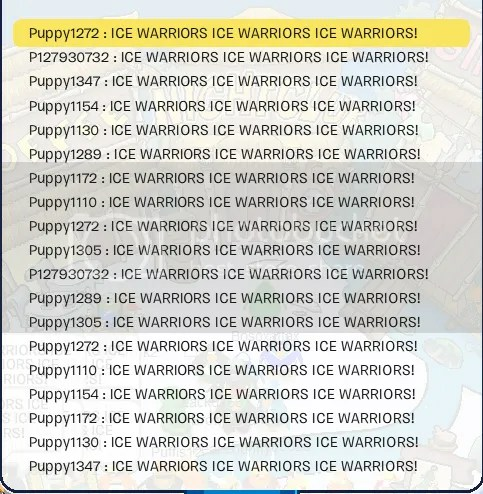 And yes, it was an epic event. Also, I’m thinking of writing a story for WW.